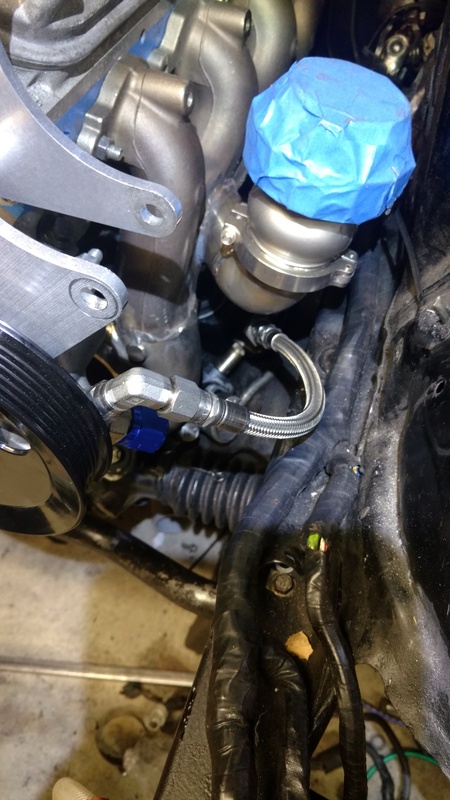 First things first, the OEM FC high pressure hose is two pieces, connected by a inverted flare tube nut. 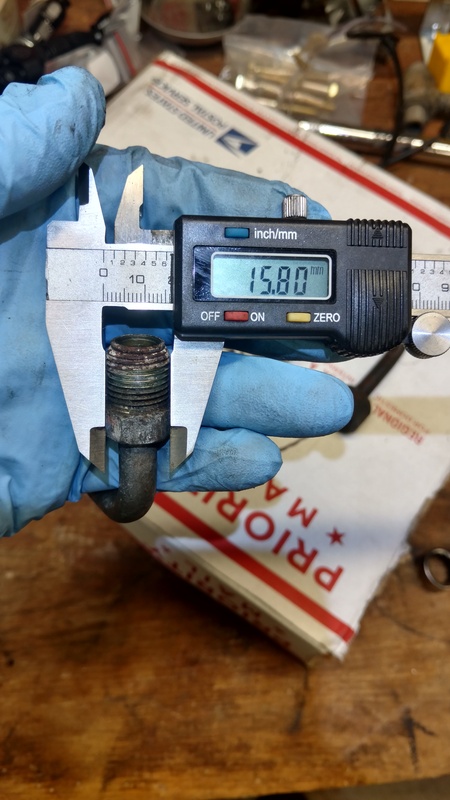 The tube nut thread pitch is M12x1.0. This is an oddball size. I was unable to track down a fitting to adapt from M12x1.0 inverted flare to 6AN. 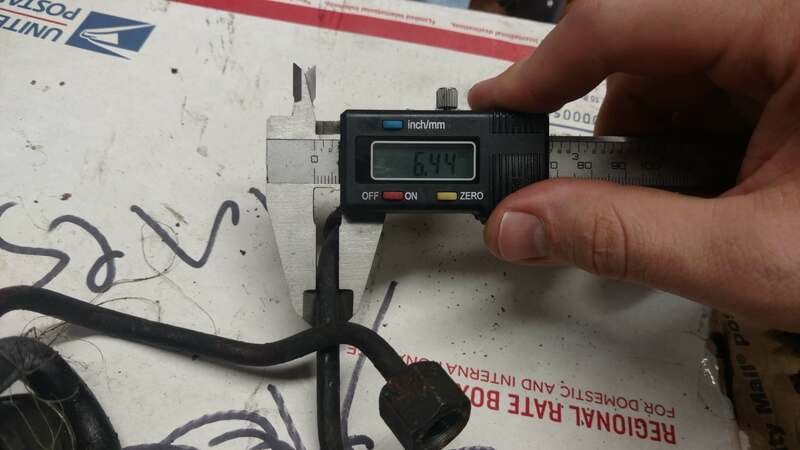 The second thing worth noting – the tubing isn’t metric, it’s ¼” copper tubing. Lucky for me, I have a box of old Swagelok and Parker compression fittings in SAE sizes. I had to use 3 fittings to make it work, but I successfully adapted from ¼” tube to 6AN right at the line. 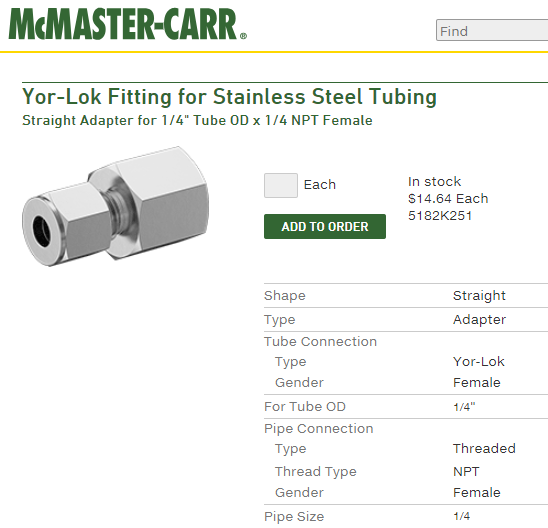 These hydraulic fittings are very easy to use and rated to well over the working pressure of ¼” copper tubing. 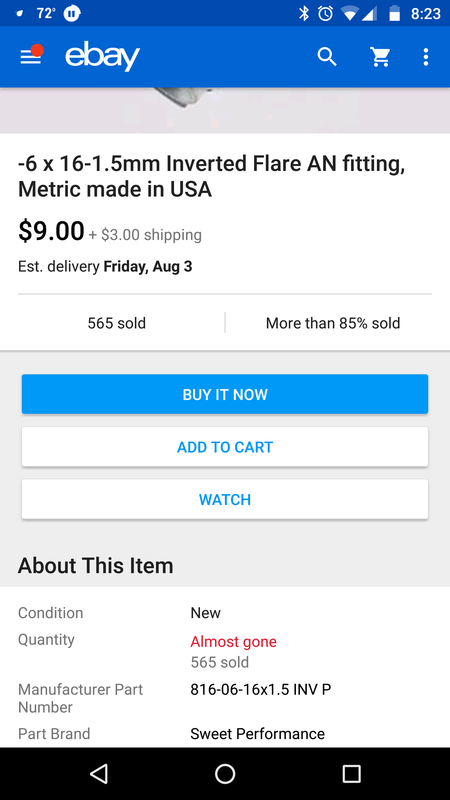 You could accomplish the same for about $20. See the McMaster part in the photos below. The beauty of Swagelok/Parker compression fittings, you just cut and clean the tube, deburr, and tighten the nut. It’s very easy and quick. Also, the fittings are reusable if you have spare ferrules. 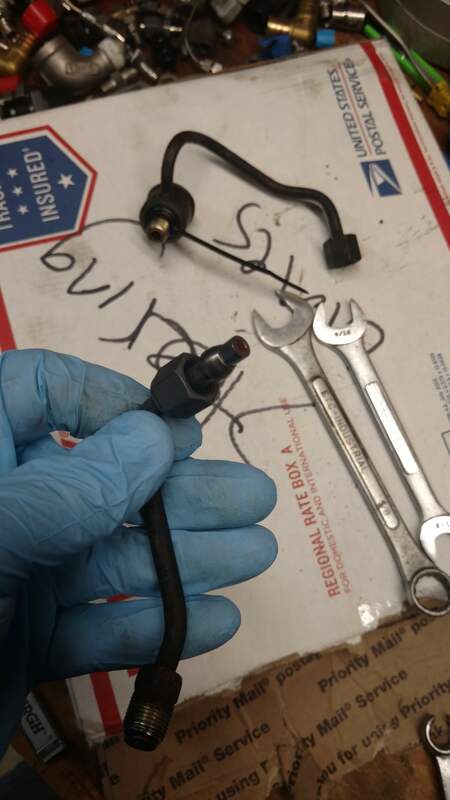 My concern, The PTFE-line 6AN power steering hose I’m using is much stiffer than the copper line. 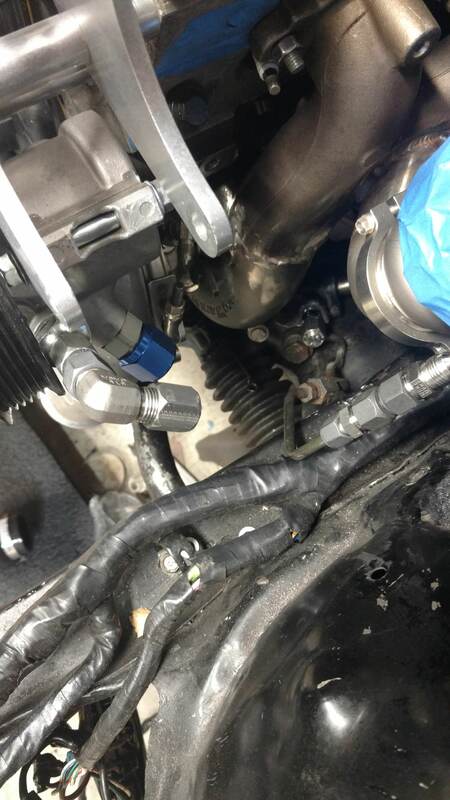 There isn’t really a way to secure the OEM tubing to the chassis and isolate it from any tension from the PS hose. 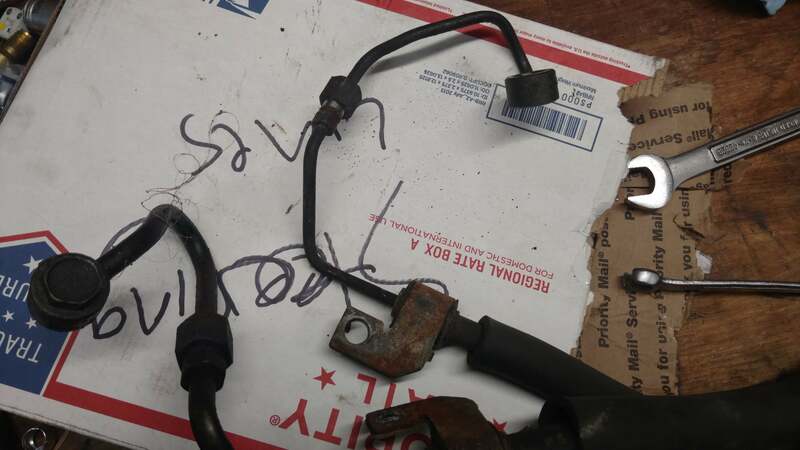 My question: If the OEM line is ¼” OD copper tubing, would it be acceptable to use 4AN PTFE braided hose? It is much less rigid than the 6AN. FWIW, I already have plenty of both on hand, so it’s not a cost issue. My hodgepodge of Parker/Swagelok fittings. Also, the cut, cleaned, and deburred tubing. 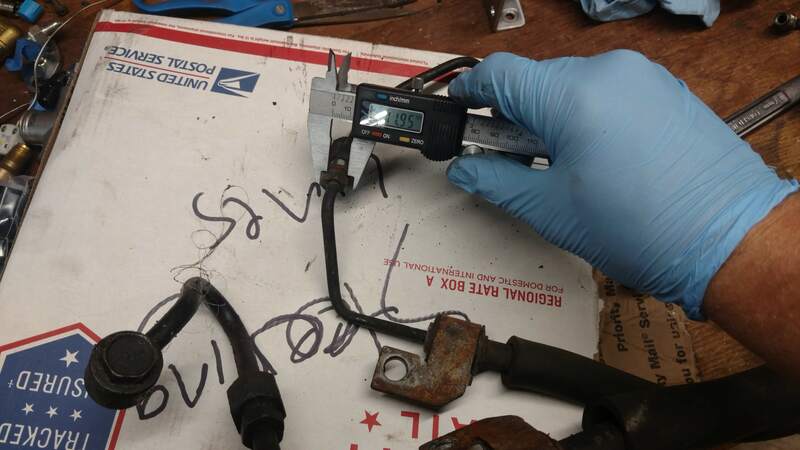 So there's really no alteration to the piece of the line closest to the rack - the point is more that we can split it at that flare nut to work on the pump side, right? This seems straightforward enough that it might finally convince me to just do hydraulic PS if I can't make an electric system work. 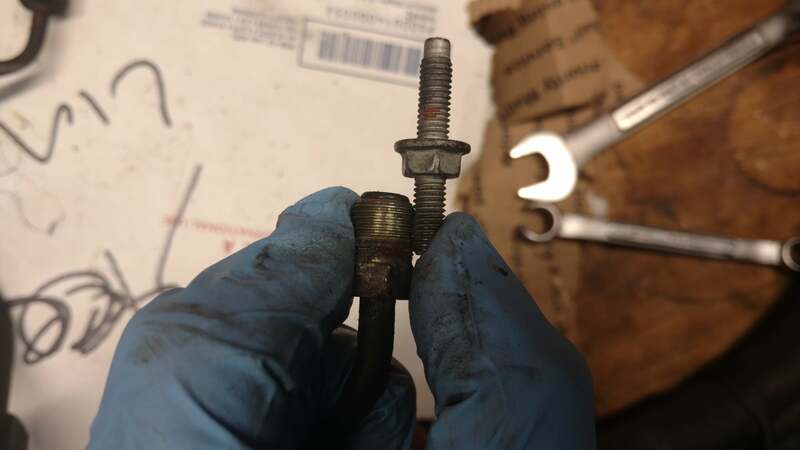 You could also easily break the connection at the compression fitting. They're designed to be tightened/loosened a few times without issues. 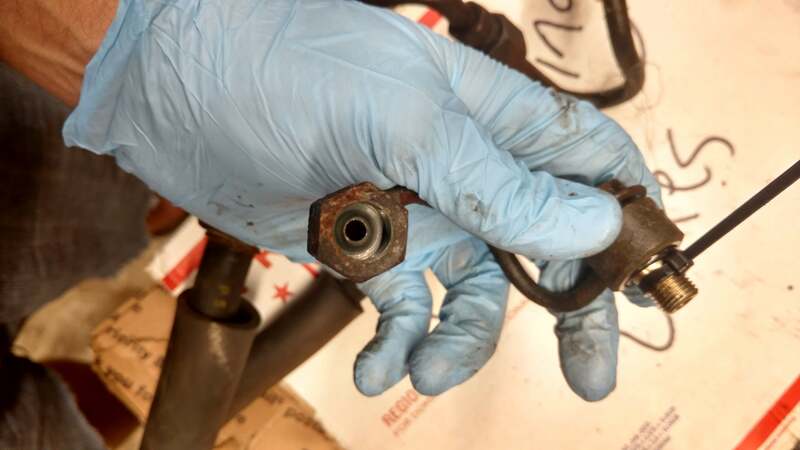 You could just as easily cut the lower power steering line and omit the flare nut. I may end up doing that since I have to avoid a turbo and other stuff in the way. I was retasking the ps cool loop-return and it was not copper (steel tubing) . So I took a magnet to check the pressure banjo lines and they are steel also. 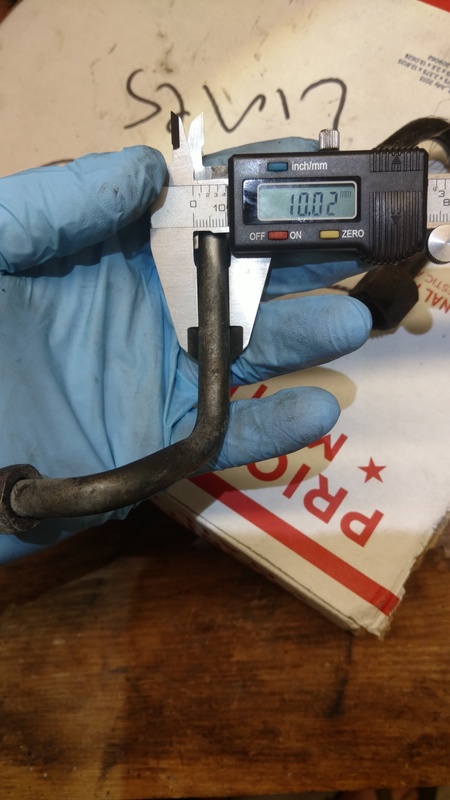 I just rebuilt my ps pump (new front bearing, seal and O rings) The 3 line pump (vane type) has 2 pressure sections hence the 1138 and 43 psi pressure lines and relief spring I'll assume is around 1200psi haven't tested. just an fyi for anyone buying a seal kit, most likely it is for the 2 hole pump. 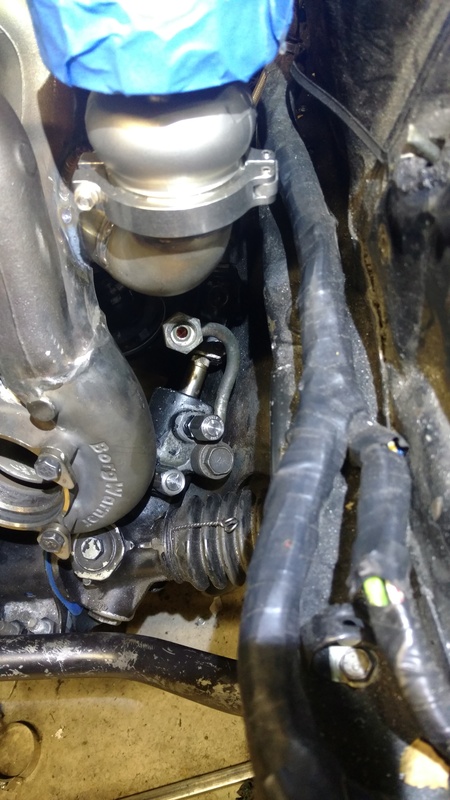 The body gasket (steel/rubber) is correct but I had to supply 3 metric O rings and make the reservoir O ring ( cut down and glued larger one) Also discovered the front bearing was bad do to the seal leak which is behind the bearing (washes grease from bearing). The job isn't hard just need to be scrupulously clean (cleaned out side in parts washer (sealed ports) and then brake clean before disassembly. also need small press to remove/install bearing+shaft from housing and bearing from shaft. I would agree 3000 psi line is adequete. The tube I cut was definitely copper. Very flexible, non-magnetic, and looked like copper. So the lines I bought used on eBay, there was one small and one large. I presumed these were one high pressure and one return but I think they are both high pressure lines from the 3-port rack. The smaller line (1/4”) that I spliced was for the high-speed circuit which is less flow. I will measure the other line tonight which is much larger. Hopefully it is 3/8” and steel. If that is the case, I will modify my first post so no one goes around using the tiny cooler line. 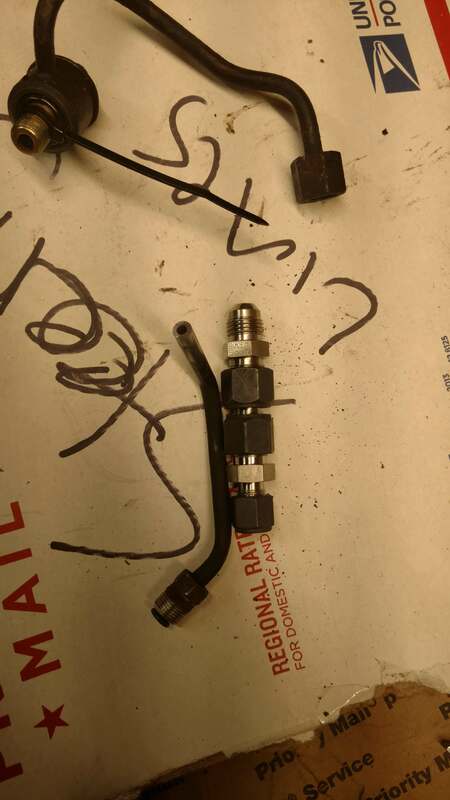 Good picture both banjos are high pressure, the cooler/return line is the 8mm soft hose IFF connection without the banjo, it is low pressure to the loop and returns to the ps reservoir. your copper line is strange s5? The 4 sets of s4 banjos I have are steel. So, the lines (both) are copper-lined steel tubing. I couldn't see the copper at the flares, but only when I cut the lines. I was able to use the larger PS line and am much happier with the result. The 10mm tubing is also copper-lined steel and pretty tough. I had to bend it to clear my turbo. 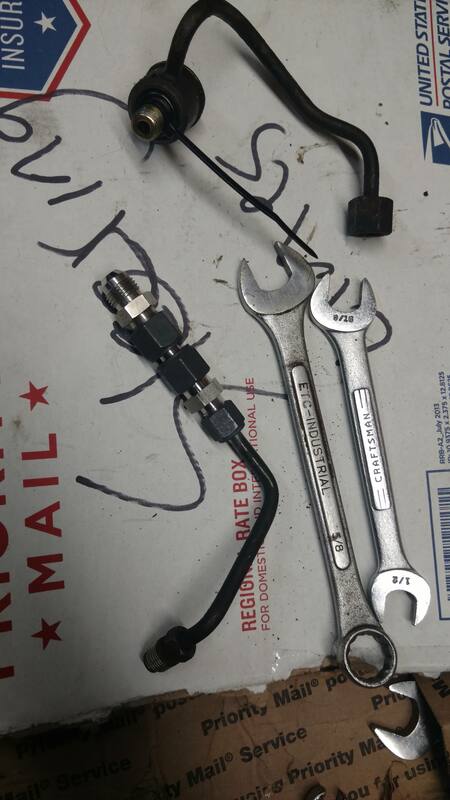 I ended up using two of the tubing vises from two different brake flaring kits so I could grip the tubing itself and not stress the tube nut or banjo fitting. I'd like to add some head shielding but I'm a bit worried that if I do I won't be able to see any leaks at first startup until the fiberglass is saturated and potentially turns into a candle. 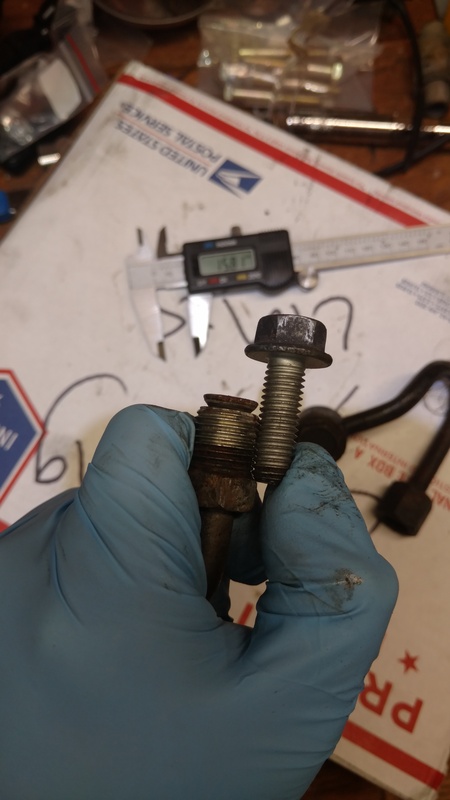 You can find m16x1.5 to -6an adapters that are made for a crush washer on summit for a few dollars. Then just use your -6an PTFE hose from pump to rack. I usually have a hose made by the local Napa or hydraulic shop. The last one I had made cost me $4 for the fitting, $25 for the entire new hose and the rest was history. Just have to make sure you get the hose made the correct length, as you said, the high pressure stuff is a lot harder to flex. Agreed, I had good luck with mine but I don't blame you at all. It would be a silly reason to kill a car.